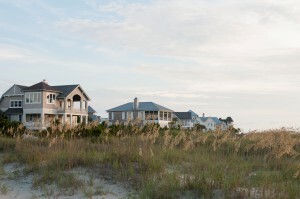 According to Coldwell Banker’s annual Home Listing Report, Ocean Isle Beach costs the most, while Elizabeth City is the most affordable housing market. The report uses average listing price of a four-bedroom, two-bathroom home over 2,700 US markets. The report shows that an average home price for a four-bedroom, two-bathroom home in North Carolina is $232,748. Within our area the beach communities of Ocean Isle Beach, Sunset Beach, Oak Island, Topsail Beach area, Wilmington and Winnabow all fall above the average. When you are ready to start looking for a new home or property to buy, consider using us as your Buyer’s Agent. It is critically important that you know the current status of the market and what properties are coming on, going off and changing prices. Along with this information, it is equally important your interest as a buyer are being well represented. We work hard to ensure our buyers are well represented and the best deal possible is negotiated for the purchase. We represent buyers and sellers. Contact us at 910-279-9398 or by email for how we can go to work for you. Check out the full list of NC rankings.